End the culture of misogyny & patriarchy to end gun violence. Address gun violence by ending the culture of misogyny & patriarchy. Why are most mass 1 shooters male? Why are these shooters in particular involved in domestic or intimate partner violence? What are we teaching our boys that drives them to want to own guns and use them against their own family members or against themselves 2? Why does our perception of the gun violence debate seem to have more men fighting for looser gun restrictions, and more women on the side of gun safety? This gender disparity reflects our patriarchal culture, a society in which men seemingly hold the power and women are largely excluded from it. The patriarchy propagates a limited perspective socially and politically, influencing everything from culture to policy. It creates a fundamental dominant narrative, locking genders into specific roles and viewing subjects like emotion or femininity as negative, weak, and unworthy. This is the same culture that made "feminism" a bad word, even though its definition is simply a belief in the equality of the sexes. Patriarchy is dictatorial and fear-based.  Effectively contagious, it often uses shame as a tool of oppression. This sets dangerous standards, and feeds into fear-based behaviors, such as gun culture, racism, misogyny, and intimate partner violence. Gun culture holds an acceptance of having an unchecked freedom to carry firearms without training, credentials, or background checks. Within this idealism, people, mostly men, contort the Second Amendment to meet their personal needs of having to keep and defend their dominant status in society. And the corporate gun lobby uses this personal fear of loss of status to grow their billion-dollar industry, without regards to human life and the 33,000 people killed each year in America. Organizations like the NRA and the NSSF pour millions of dollars into efforts to maintain the status quo, donating to politicians who comply with the patriarchy and write bills that support their go-hard-or-go-home view of the Second Amendment. Without shame, the gun lobby uses fear-based tactics to sell guns, shaping ad campaigns with militaristic themes, reflecting the fear of men who see themselves as vulnerable to loss of their personal power if they don't have the tools to defend themselves. Using patriarchal methods of oppression through advertising and public relations, the gun lobby has effectively shaped the culture of America, poisoning We The People with fear and inspiring thousands to advocate on behalf of the corporate gun lobby's interpretation of the Second Amendment. 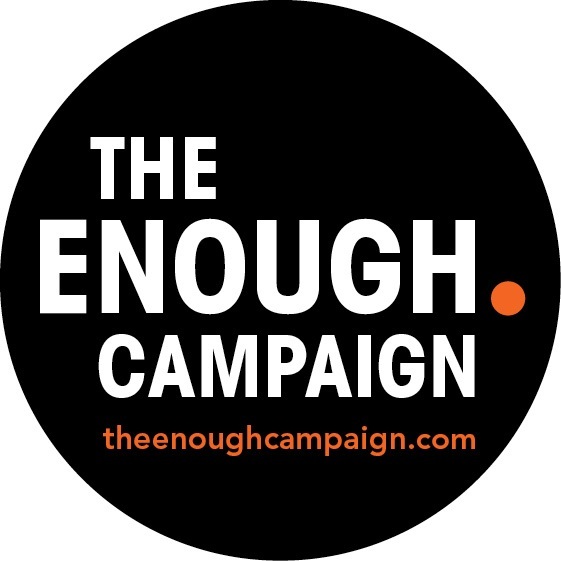 Five years ago immediately following the Sandy Hook massacre here in Fairfield County, the then-newly-formed ENOUGH Campaign set out to change the gun conversation. It is imperative that we illustrate an understanding of the bigger picture of gun violence and the gun culture that has infiltrated our communities. We believe that this begins with breaking down the ideas that permit patriarchy to thrive. (1) The FBI defines a mass shooting as four or more people shot and/or killed in a single event [incident], at the same general time and location, not including the shooter. (2) Men are four times more likely than women to die by suicide. 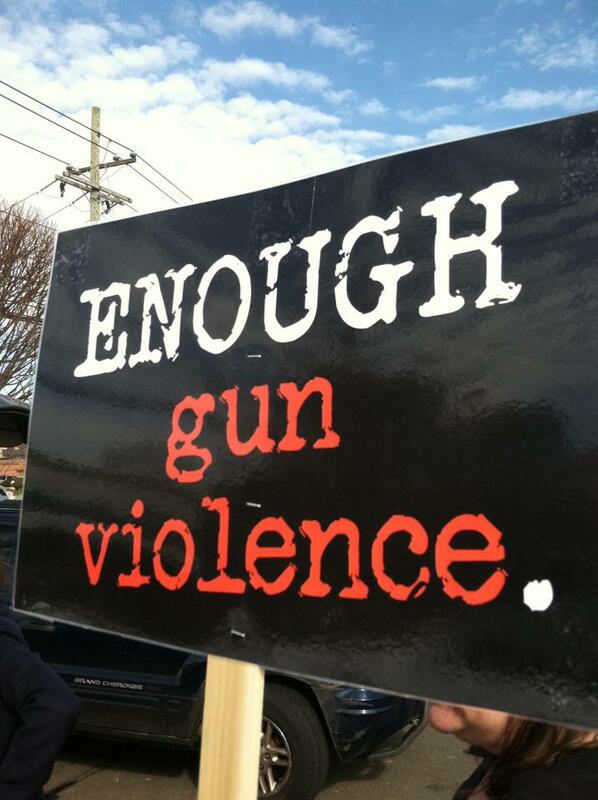 Today's Action: End the culture of misogyny & patriarchy to end gun violence. All oppression is connected and must be treated comprehensively. Don't tell women how the way things really are for them - they are describing their experience, and you should listen empathetically. Don't try to re-explain someone's struggle better than they do themselves: understand your privilege, and know that it's okay to have uncomfortable conversations. Believe women when they tell you they've been harassed/assaulted/raped. Speak up, speak out, and speak often when you see sexism or harassment unfolding. Staying silent is enabling sexism to persist. Don't fall for the "boys will be boys" mentality. Sure, there are fundamental differences between boys and girls, but it is unacceptible when we allow aggression in the male gender to develop in unhealthy ways. We serve neither gender with this mindset. Be a role model for others. If you're a parent, exercise the above actions in front of your kids. Children learn culture at home and repeat what you do. Committed to promoting the fundamental right of all individuals to be safe in their personal relationships. Breaks the cycle of homelessness by helping people achieve - and maintain - permanent housing and stability in their lives. 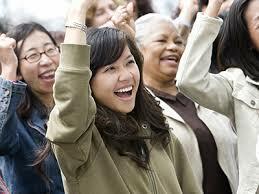 Providing the training, education and borrowing power necessary for women to launch and grow their businesses. Ignites change by getting pro-choice Democratic women elected to office. 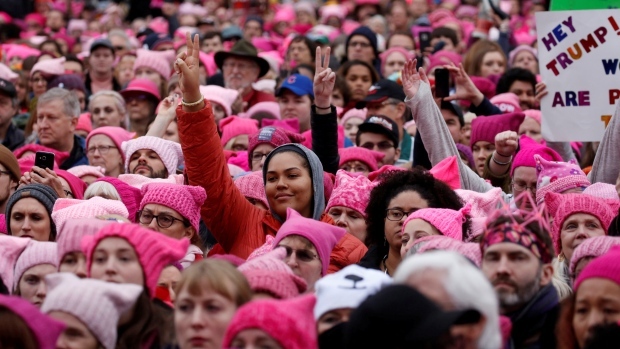 Grassroots organization that mobilizes to fight sexism and create a more inclusive world that accurately represents all women, from politics and government to media and pop culture. Dedicated to women's equality, reproductive health, and non-violence; The organization behind the illustrious Ms. Magazine.